I enjoyed reading this book a lot. (I rushed through it in roughly 24 hours). The writing style is easy and engaging. 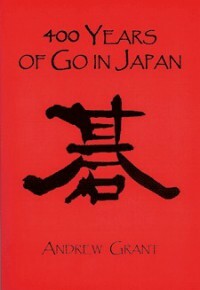 I also think it satisfies an important need in terms of the English language literature about go because there is no other general history like this that I know of. For these reasons I give it 4 stars. On the other hand the book is pretty sketchy. The book is only roughly 200 hundred pages and many of these pages are taken up by game diagrams for uncommented game records. While these game records are meant to be of historically significant games, they are not really integrated into the book in any particularly meaningful way. To be fair, they are often games that are mentioned in the text, and there is often a short paragraph explaining why it is significant, noteworthy, or interesting. However beyond this link the games feel a little bit like they are filler, particularly because most of them are the very most famous and easily found games. Additionally there are some pictures. The last 12 pages are several useful appendixes. So overall it is clear that the text is a little bit scanty. I noticed this particularly with the figure of Dosaku. I was excited to be reading about him as I know he is an important figure (one of only two people considered "go saints") but don't know a whole lot about him. I was surprised and disappointed when I realized I had reached the end of the segment on him. To be fair Grant does give a very brief analysis of specifically why Dosaku was so far ahead of his contemporaries, but I definitely was left wanting more. In conjunction with the Go Games on Disk and Encyclopedia I have a fair portion of the English language historical material on go. I guess it is just a testament to the lack of resources that I would still like to have more.